Colossal Cache- Bigger, faster cache of 32MB means faster performance. NoTouchTM Ramp Load Technology- The recording head never touches the disk media ensuring significantly less wear to the recording head and media as well as better drive protection in transit. Compatibility Guaranteed with Functional Integrity Tests- WD drives pass through the Functional Integrity Tests (FIT) which ensures the drives compatibility with a wide range of hosts, operating systems, adapters, application programs, and peripherals. 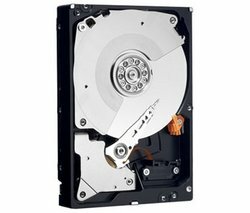 Designed for Creative Professionals - This drive is ideal for power computing applications such as multimedia, video and photo editing, and maxed out gaming computers.